For John Pfordresher’s 2nd RP challenge (and his response), he asks us to share our opinions on the three statements below in relation to the scale above. I’ve done my best to respond to all three, but have weighed in most heavily on number three since it is my biggest area of interest. If you haven’t joined the challenge, feel free to jump in here, or join the latest challenge, rpc 3: description. 1) Teachers must teach grammar explicitly if learners are to acquire language effectively. 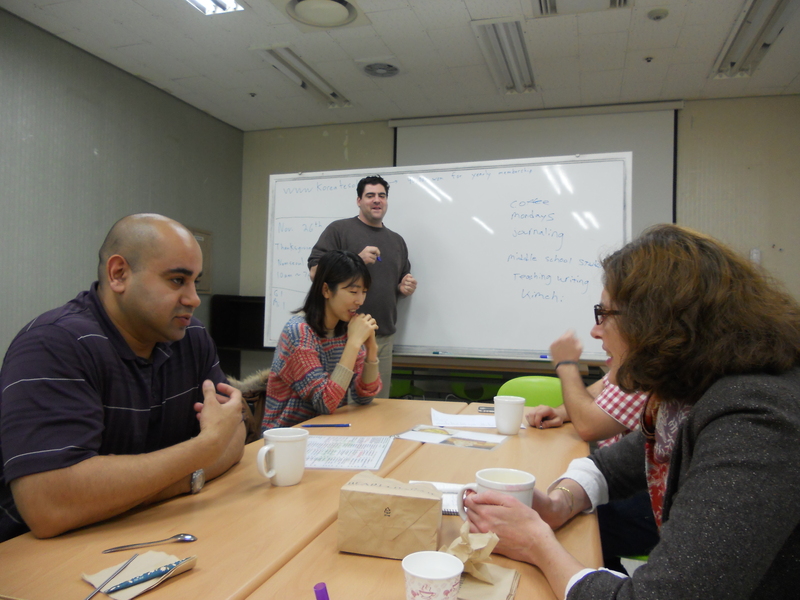 I tend to approach teaching grammar more inductively, and I think that has a lot to do with the people I teach: English teachers in Korea. They do explicit grammar very well (I’m not sure what that would look like on a sliding scale of English teachers in the world ;) ), and I just don’t think it’s my place to stay on the path when they come our course. I want to help them see there is another way to approach learning English. When there is a need for more explicit explorations, we go there. I think a balance between both is important for my learners, and how the scales tip often depends on who is in the class. I don’t feel I can add much more to the discussion that hasn’t already been eloquently stated by my colleagues who have completed this part of the challenge. Anne Hendler offers a list of questions that I think are important to ask before jumping to any section of the scale. David Harbinson offers a great explanation of why he strongly disagrees with this statement that I also connect to. As with all absolutes though, it’s easy to see there is a lot of grey area. 2) Teachers who don’t utilize technology in class are doing a disservice to their students. I want to dive into statement #3, so I’ll cheat a bit and defer to the questions Anne offers in her response, the thoughts David shares in his, the sci-fi inspired exploration John reflects on in, #edtech, star trek and the matrix, and Hana Ticha’s link to his thoughts in Reflective Practice Mission Statement 2. 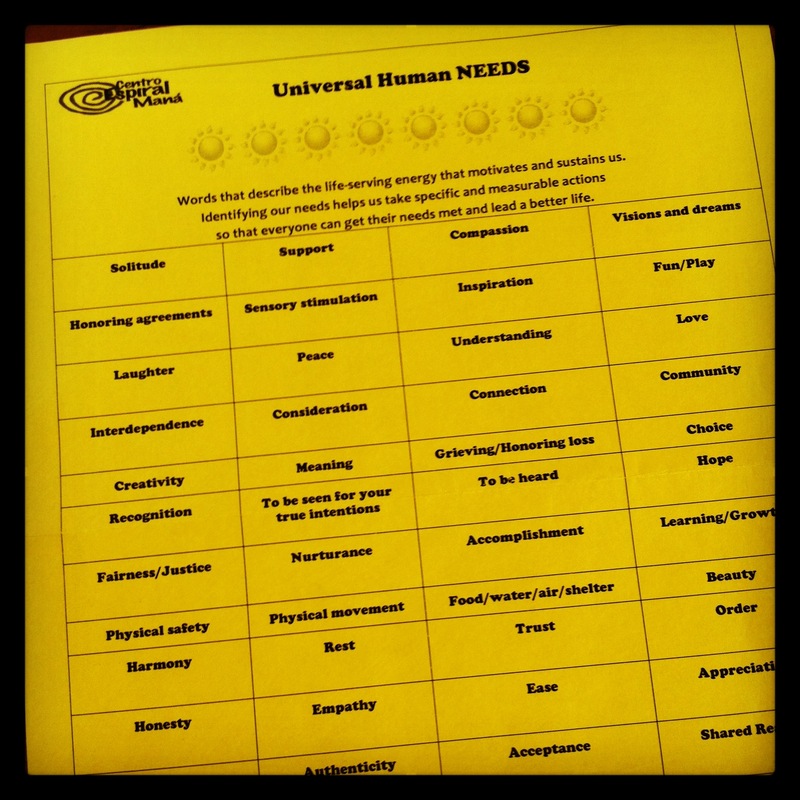 3) Teachers have to understand the correlation between student feelings and student needs to be effective. 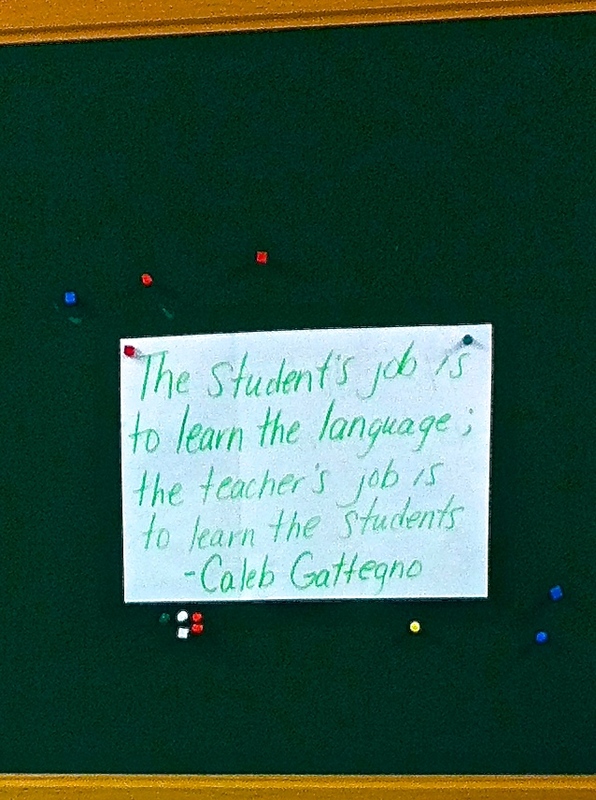 My understanding of this statement is that at any given moment, a student will behave a certain way, and this reaction is married to a need they have at that moment. For example, if a student is sleeping in class, he probably has a need for sleep. Pretty simple. But what about a reaction that doesn’t demonstrate the need so clearly? What if a student is not participating in a mingle activity, and is just standing alone in a space that offers more privacy than is required at that moment? What need is he trying to meet by reacting this way? This requires a bit of guesswork, and it can begin at the feelings level. Maybe the student feels nervous to talk to others. Maybe he feels confused about the task. Maybe he feels cautious. Depending on the feeling, we have a clue into the need this student is trying to satisfy. Now back to the original statement. Do teachers need to be able to make these connections to be effective teachers? It depends on your beliefs about effectiveness. In a classroom environment, I believe we learn better when we feel a sense of safety and community. Depending on the composition of your class (amount of students, scheduling, age group…) this will be more or less challenging to foster. If effectiveness comes from this perspective, I think when it comes to building a sense community (trying to develop rapport between the students as well as between the teacher and students), having the awareness of the feeling/need relationship can be quite beneficial. I’m not sure teachers need to be able to make it as a explicit as I did above, but I have a sense that a teacher who is able to tune in to what students are feeling and needing will be able to provide a more fruitful learning environment. When I read Juan Uribe’s blog, and especially his recent post on the iTDi blog, I imagine he is a teacher who is aware of this relationship. I have a feeling that many teachers out there already are but may not describe it this way. I’m curious to know what you think about my take on no. 3. Does it resonate with your understanding of the statement? How would you describe your understanding of the statement? *I’m currently writing an article on the subject of learning English via compassionate communication, and feelings and needs recognition is one of the tasks, so the process of writing this post has been very helpful. Thank you for giving me the space to dig in and to motivate myself to keep writing. Before sharing my reflective practice (RP) mission statements (yes, there are two), a bit of gratitude and history. I want to thank John Pfodresher for putting the RP challenge out there. It has been inspiring to see all the responses (Ann Loseva, Anne Hendler, Hana Ticha, David Harbinson and Rose Bard), and it was just the reflective boost I needed to get ready for the new semester. Also, a big thank you to Anne H. for laying out what exactly entails a mission statement. As I wrote the statements below, I kept going back to her research. I’m not sure my statements meet the criteria, but I feel pretty happy with what came out. Finally, gratitude to a fantastic reflective blogger and friend, Zhenya Polosatova (I recommend reading her “25 Honest Reasons Why I Started this Blog” post. You might find another motivating challenge there.). Because of her comment on my last blog post, Compassion Training: Trying Not to Fall in the Hole, I realized that my “Self” mission statement was pretty much already done. And now, my mission statements! I reflect because I want to create moments that bring optimal growth for everyone, including me. The word reflect, for me, is synonymous with “write”, “meditate”, or “discuss with friends and colleagues.” Sometimes it is a rigorous analysis of a moment, and sometimes it is a playful, more organic, exploration. I reflect to get a better understanding of how I affect people (teachers, learners, colleagues, friends…), to understand how they impact others (teachers, learners, colleagues, friends…), and how that impact might impact others (teachers, learners, colleagues, friends…). This is the cycle I reflect on. The impact (affect) could be in connection to relationships, communication, language acquisition and all the other complex dynamics that go into living (teaching). In order to do this circular dance in a healthy way, I must be kind and compassionate with myself. For this reason my reflection includes meditation and mindfulness practice. I do this because my larger RP mission is be compassionate with others so that the dance keeps going at this life-giving pace. That all being said, I’d like to clarify that I am not a missionary of any sort. :) I honour and support all RP perspectives. A reflective teaching community is not something that is easy to define. It is a dynamic organism. It’s dynamic because of all the unique experiences, the creative ways of looking at a moment, the intriguing perspectives, and most importantly, the honest questions that everyone brings. A reflective community is a place where you can throw hard (scary) questions and feel confident they will find a soft landing in a space with a few answers, and most likely, more questions. At least that has been my experience with the Daegu RP Special Interest Group (RPSIG). Almost everyone who comes to an RP meeting is interested in developing their sense of understanding what is going on in the classroom. 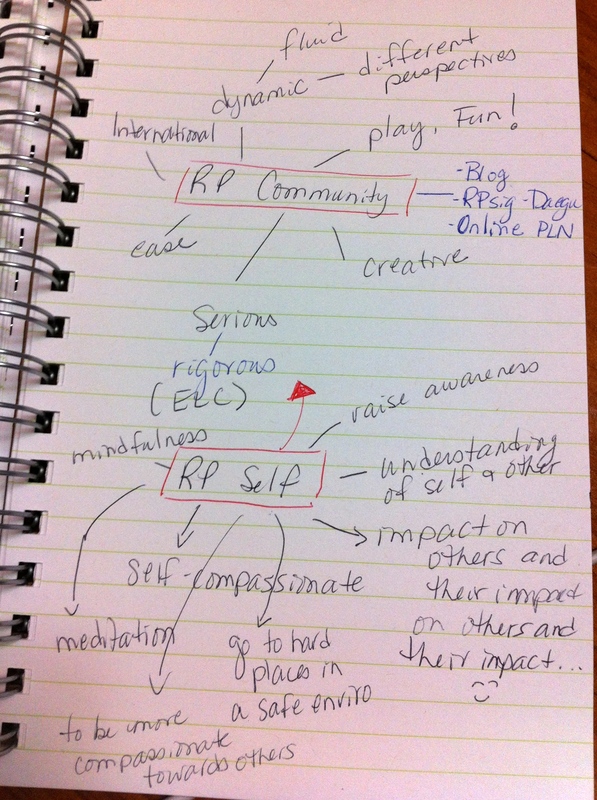 For that matter, the same could be said of my other RP community: RP online (#RPPLN?). What I have felt within my community is what I want to bring. My desire as a member of these RP communities is to not only bring in what I wrote in my “RP Self” statement, but I would also like to facilitate a safe, open, playful, creative, and fluid space where people can bring their thoughts, fears, questions, passions, and experiences. I’ve noticed that the most valuable skill I could bring to an RP group is supporting discussions as they unfold. We all agree that we are at the meeting, or having an online conversation, because we want to talk and learn about teaching and learning. I sense that we are all on equal footing: I am not here to teach you; I am here to listen to you and to share with you. We want to grow and learn together. This will happen in a variety of ways. Sometimes it will be rigorously systematic, and sometimes it will be colourful and creative. It all depends on who is having the conversation. I want to keep the lines of communication open and clear so everyone can take something valuable with them.